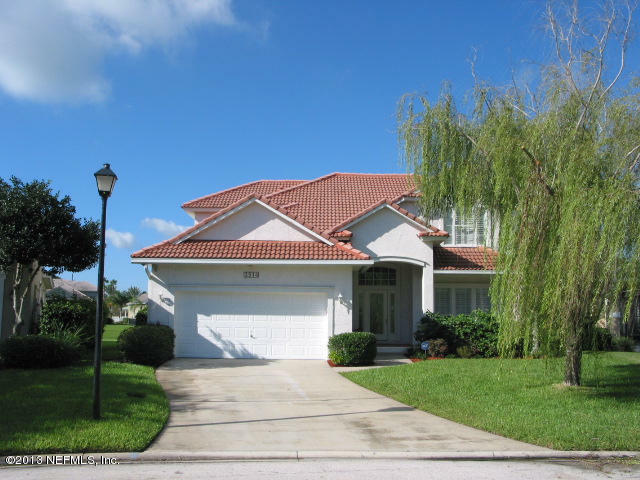 Lakefront Home with Beautiful View in Ocean Cay - Convenient to Shopping, Beaches and JTB. Home has Coquina Exterior and located on a (.53 Acres) Pie Shaped Lot which is one of the largest in the community. This home is loaded with features and upgrades - Spanish Tile Roof, Glassed Florida Room that is Heated/Cooled w/Retractable Awning & Electric Blinds, Sun Deck w/Railing, Deep Well w/ Pump, Full Sprinkler System, Whole Home Security System w/ Cameras & Monitor, Water Softener, New Carpet in whole home, Plantation Shutters, Gas Fireplace, 16' Ceilings & Surround Sound in Family Room. You will not be disappointed as this home is super clean and ready for its new owner. 90% Jumbo Loans Available - ask Realtor for lender info.